Someone is trying to destroy the evidence of history's greatest crimes. Academics and Holocaust survivors dead in mysterious circumstances. Museums and libraries burning. Digital records and irreplaceable proofs, lost for ever. Former White House operative Maggie Costello has sworn off politics. But when the Governor of Virginia seeks her help to stop the lethal spiral of killings, she knows that this is bigger than any political game. As Black Lives Matter protestors clash with slavery deniers, America is on a knife-edge and time is running out. This deadly conspiracy could ignite a new Civil War - but who stands to gain most from the chaos? 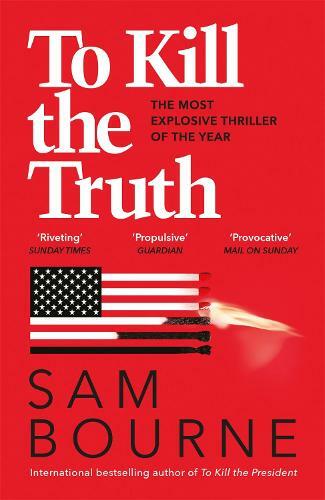 Taut, authoritative and explosive, To Kill the Truth takes us to the edge of anarchy, a world without truth in which history will be rewritten by those who live to shape it.